Since baseball season is in full swing we felt we needed to post about the cakes we’ve done about the two most rivaled teams of the game. The Boston Red Sox and New York Yankees. Next is a Yankees dedication cake, pinstripes and all. 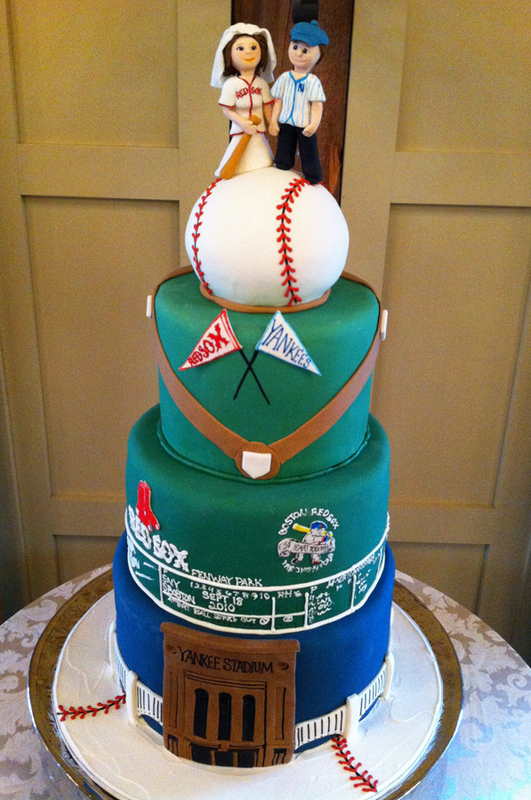 And lastly, if you must compromise, here is a wedding cake where the bride and groom (and even their families) were hard-core fans of each team. You’ll notice that each team, after careful planning, received no more decorations than the other team. Just to be fair of course. Would you ever make a Detroit Tigers cake? Yes! Just give us a call or email and we’d be happy to take the order! Oh my goodness! 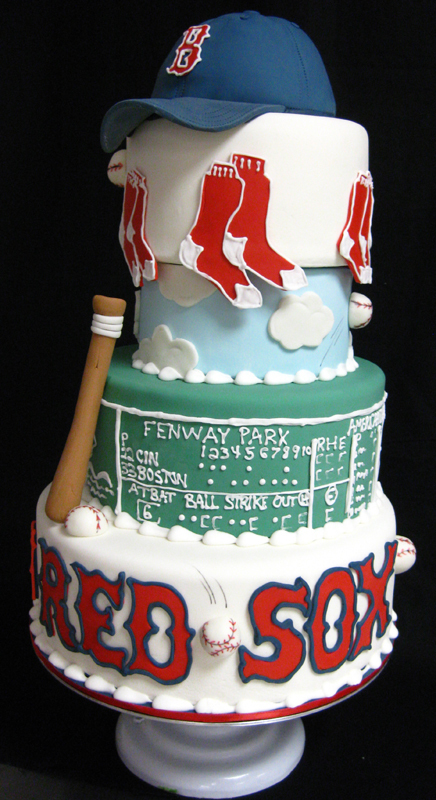 I LOVE the Red Sox cake! Amazing!!! A Superb Red Sox Cake! The Best! A Citgo Sign in that Blue sky would be perfect!!!!! Now I need to figure out how to get the Red Sox cake to Buffalo. lol. This cake would be a great 30th birthday cake for my husband ♥ I love it. Gonna try the red sox cake! My sons turning 10 in March and he would LOVE it!!!!! After showing my 3 year old son the picture of the Red Sox cake this morning, he told everyone he saw today that he was gonna have a wicked cool Red Sox cake for his birthday! How much would a cake like that cost anyways? It would depend how many servings you’d need and how much of the detail you’d want included. Here’s all of our pricing info: http://oakleafcakes.com/pricing Feel free to shoot us a call or email to get more info or work out an order! Thanks! 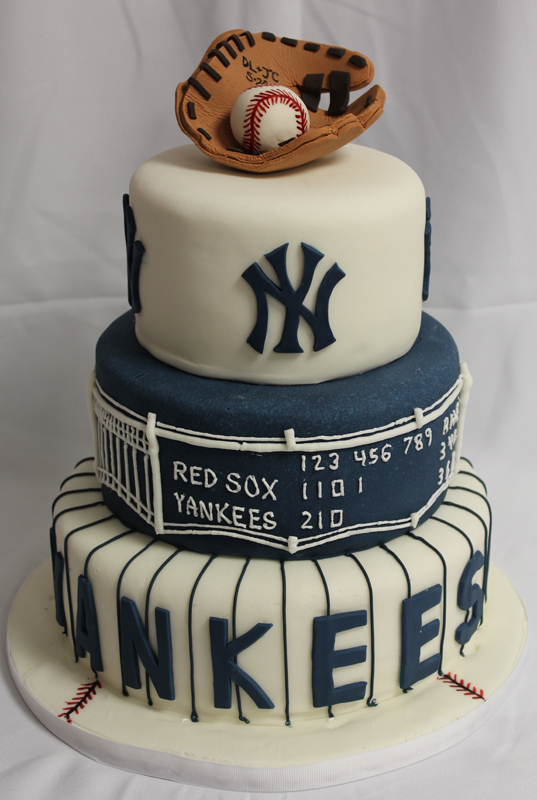 I love love the Yankee cake I’m a Big Yankees fan and I would love this for my daughters birthday party she will turn one next month on the 28th. A wedding between a Yankees family and a Red Sox family? I’m surprised nobody started a war. These are awesome! Even the Yankees ones.